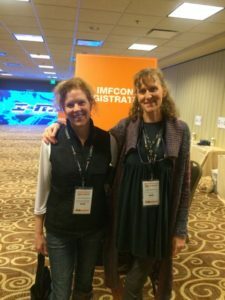 I stepped out of my comfort zone to attend the International Music Festival Conference (IMFCON) in San Diego this past week. 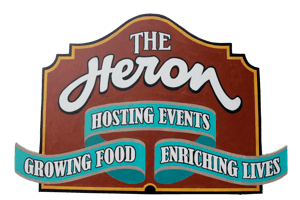 Our unique little fest, The Great Blue Heron Music Festival (GBH), is approaching it’s 25th year and I thought it would be good to see what’s happening out there in the rest of the festival world. EDM (electronic dance music) is the biggest, most popular genre today, fueled by the dollars in the pockets of the Millennial generation (born 1980-2000). I didn’t even know what EDM was before this weekend! I now also know what EDC stands for too! ( Electric Daisy Carnival, Las Vegas). This gives me a new understanding of what our Night Lights Music Festival partners are working toward. Niche festivals, (like ours! ), are growing & being sought out by those for whom huge festivals were a gateway to live music. Fans are looking to find soulful connection at festivals. SXSW‘s Hugh Forrest “preached” that festivals fill a role that traditionally was the churches’ to bring people together and build community. Festivals have taken on an important role to positively impact the world. I think that GBH gets a high five in this department. 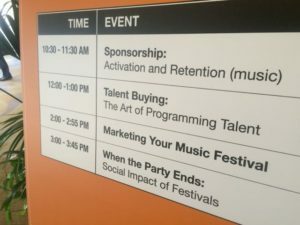 Sponsorships support most all festivals and the details on how those relationships are created & maintained was mind boggling to hear about. GBH have never pursued these dollars, mostly because we didn’t want corporate presence or hoops to jump through. I learned a new phrase this week that would describe GBH, “100% attendee sponsored”, from a festival called Shambhala. Check out this cool fest on a ranch! VERY similar is many ways to GBH. They serve a “One Mile Burger”! We could call ours a “500 Yard Burger” since our farm is so close to the festival site! This event has 10,000 attendees, 3 days, $300+ per ticket, & is mostly EDM genre. They are probably smarter than we are to ask attendees to “sponsor” their event to a greater degree than we do. We’ll be at $100/ticket this year. Maybe their band budget is higher? 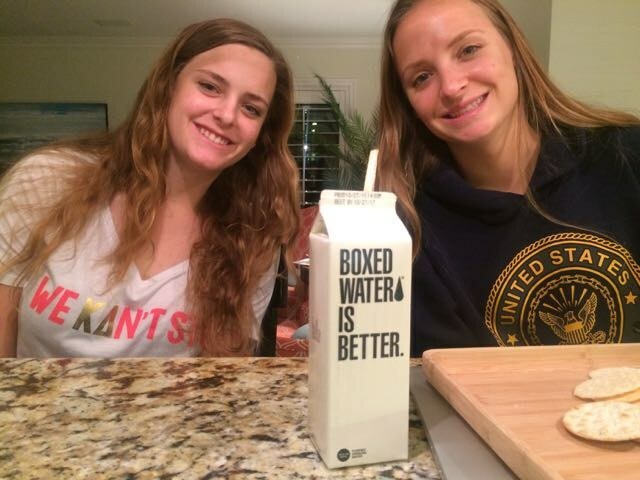 Maybe their fans (millennials) are used to spending more? My sister Andrea came to the event too, mostly to explore some new techy solutions for our ticketing and data management issues. We visited with reps from Mercato, Square, Eventbrite and Vendini. All offer amazing on-line technology, but it’s still to be determined how to put the puzzle all together. It’s big a commitment, but obviously the wave of the future. Is GBH and our crew ready to evolve with the times? I think so. There was lots of conversation about how important it is to know your fans, to nurture fan loyalty and connect with them year round. Fan loyalty is driven by love, support, commitment and compassion; aspects that need to be part of any successful business. I think GBH is doing GOOD on this front! Marketing ideas I came home with: Ask your talent (bands) to reach their fans on your behalf. Find out what’s unique about your fans, so you can find more of them! Your fans have determined your brand as much as you have, so listen to them and learn! art, music or theater, allowing for spontaneous things to happen, and being open to fun ideas that can enhance your event. Always add value to the fans experience and they will keep coming back from more. GBH can thank Logan, Nick, Nathan and crew for adding some wow power the last few years. I also learned that our festival would be considered part of the “Americana” genre. Maybe next year I’ll attend a conference more suited to us, but it was fabulous to be amongst the organizers of these great festivals for a moment: Bonnaroo, Burning Man, Oasis, SXSW, Life is Beautiful, Snow Globe, Electric Forest, SunFest. Check out their websites folks, there’s lots to learn!